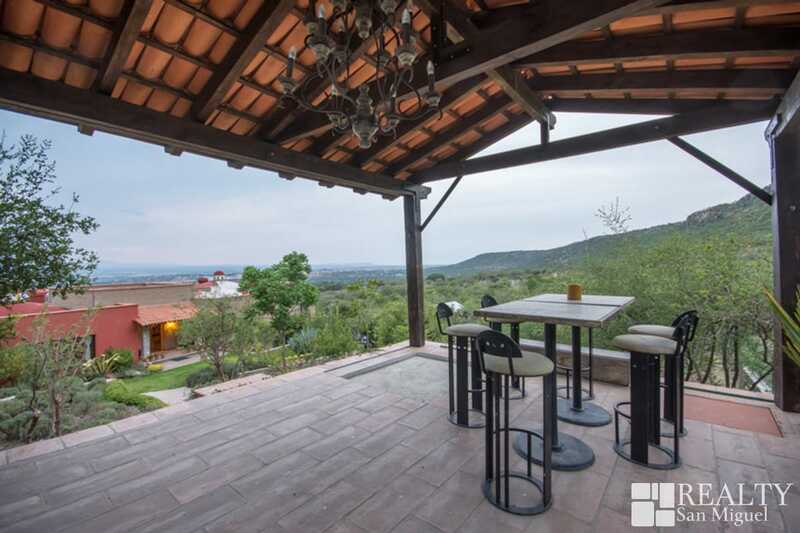 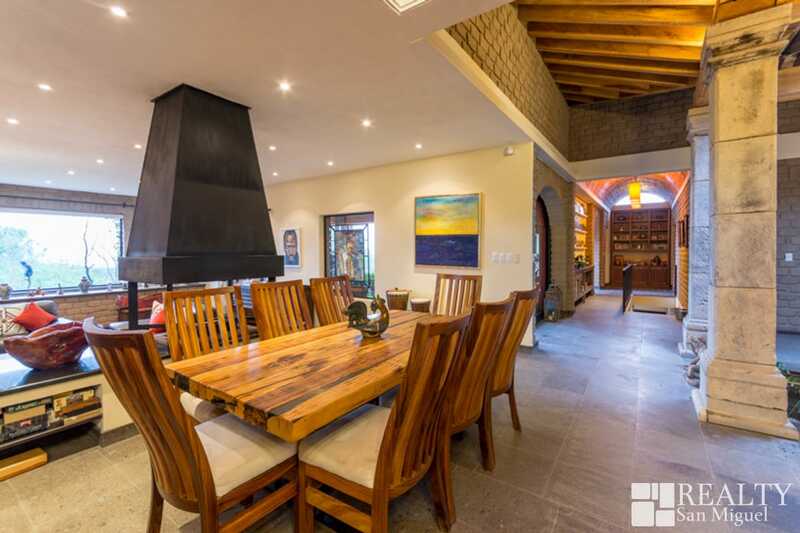 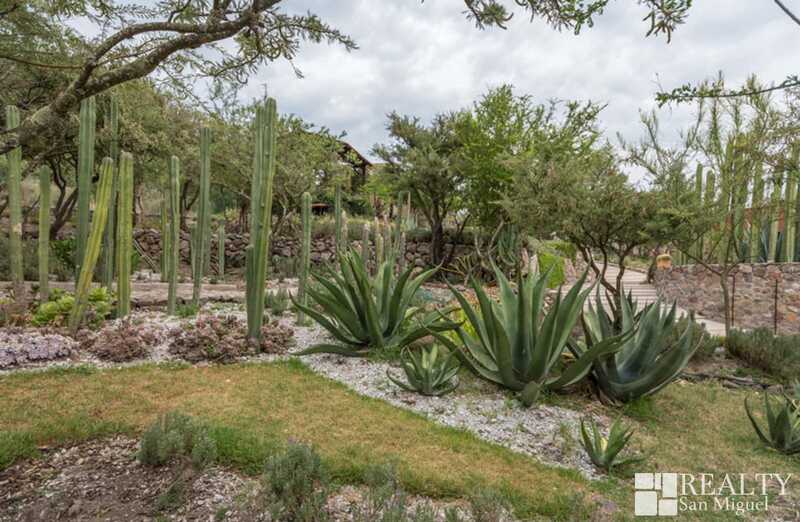 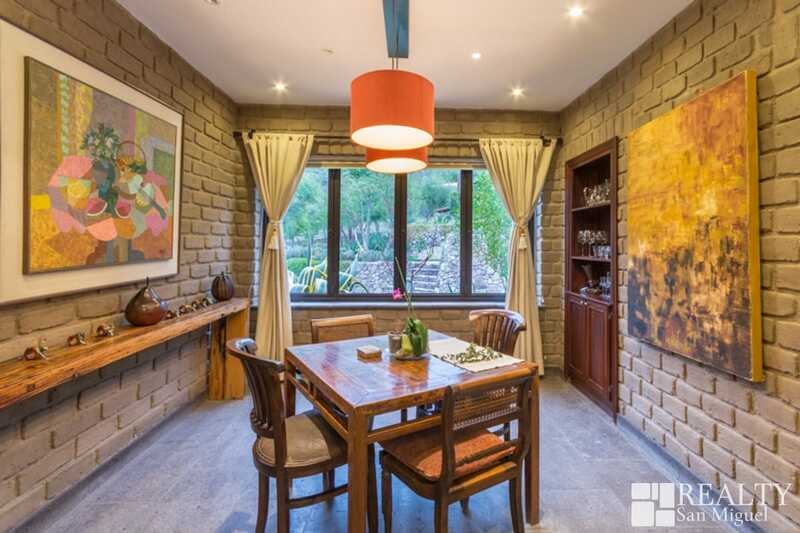 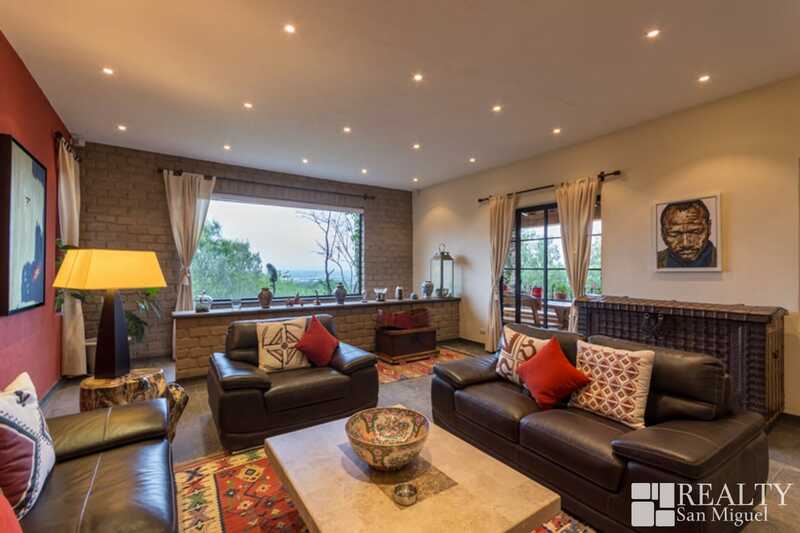 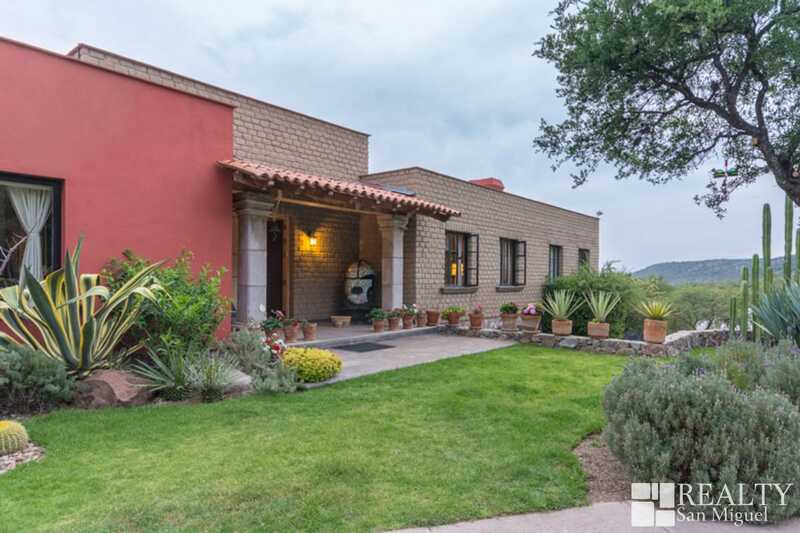 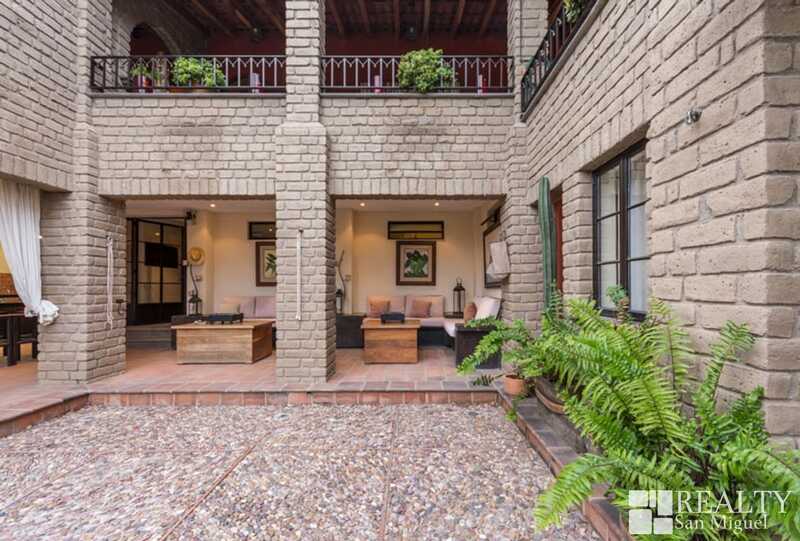 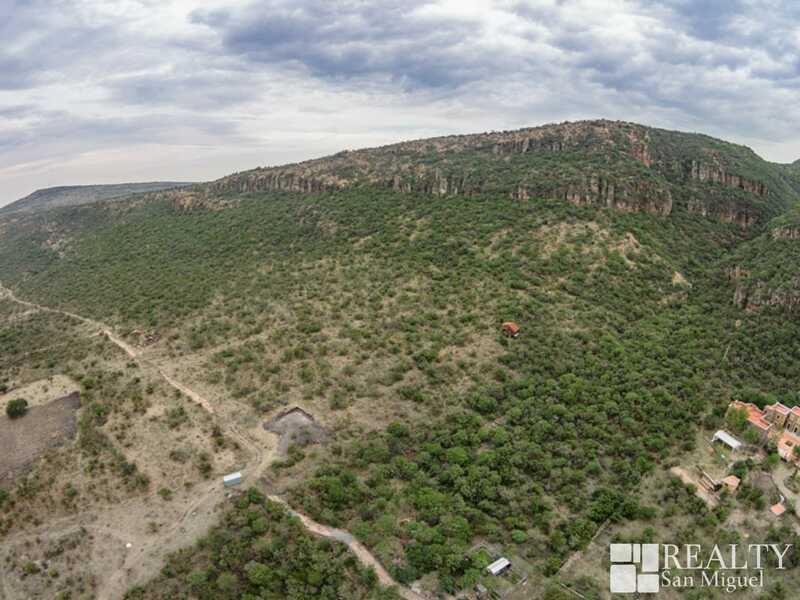 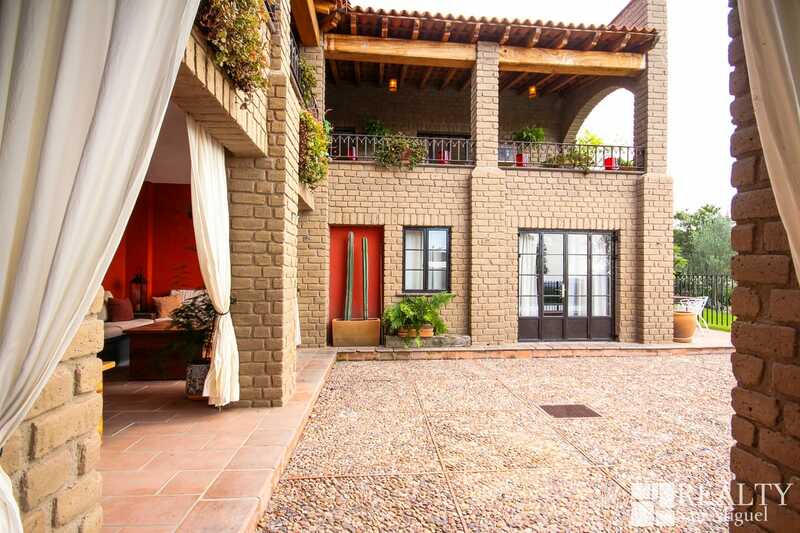 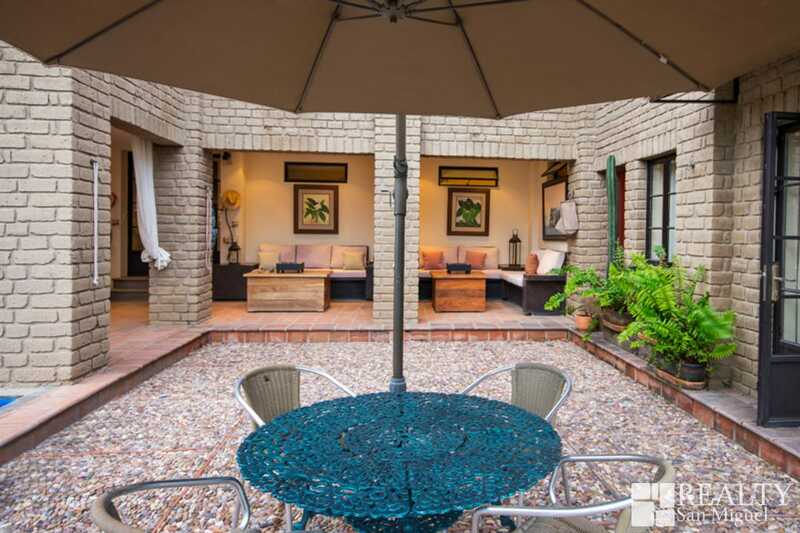 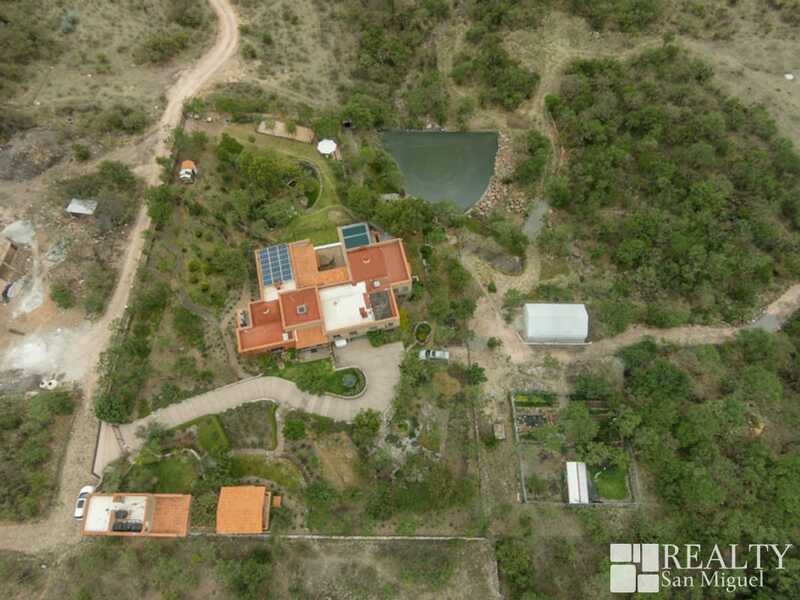 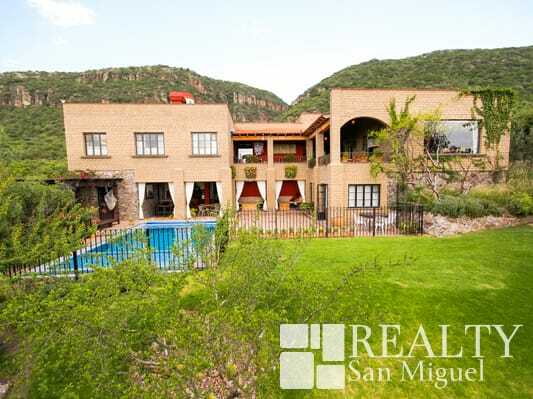 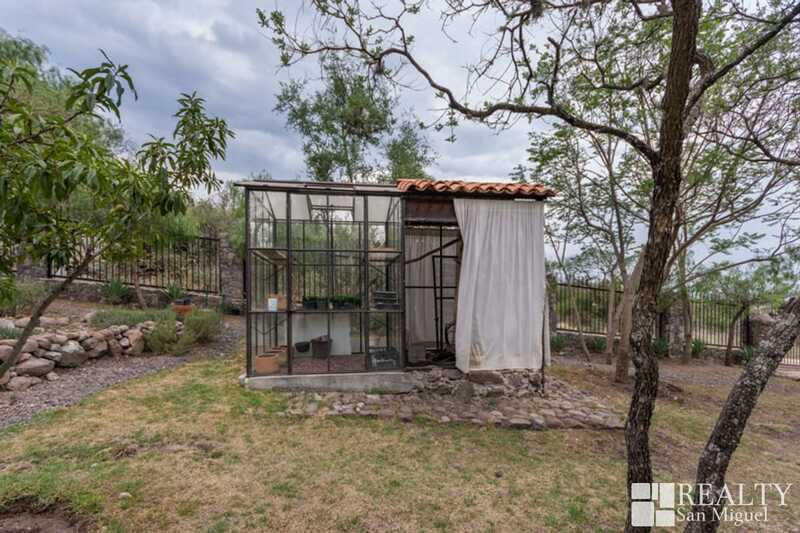 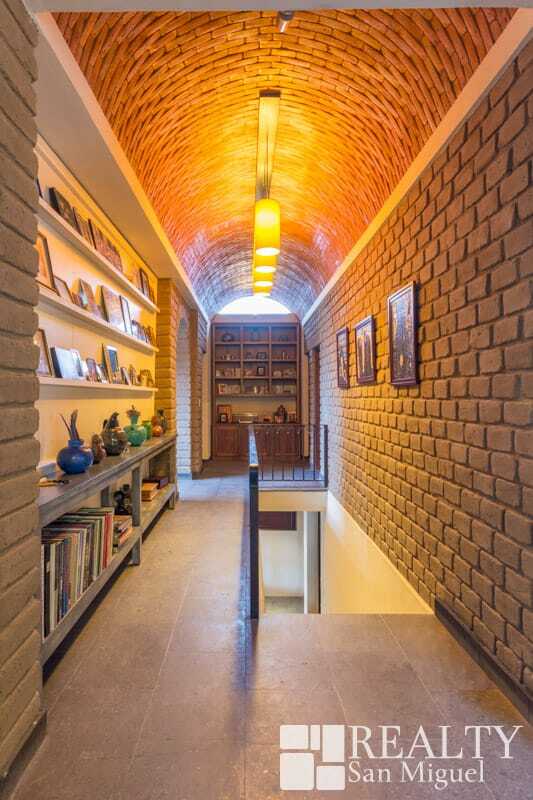 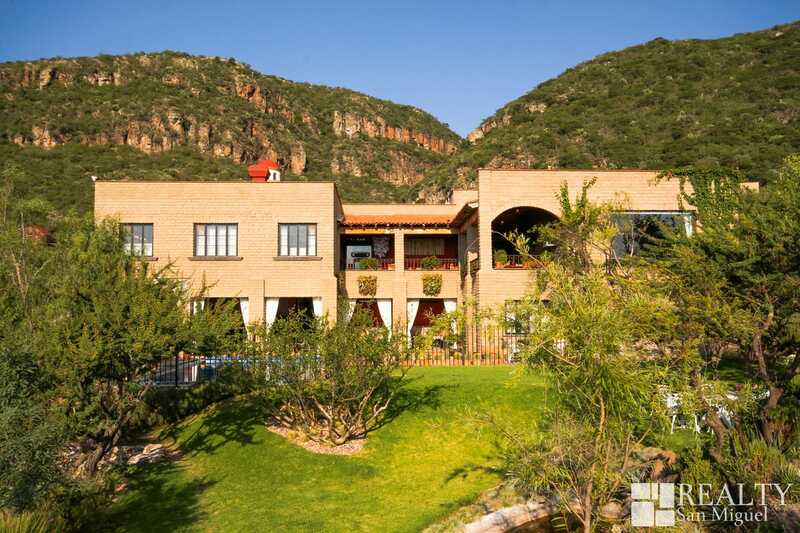 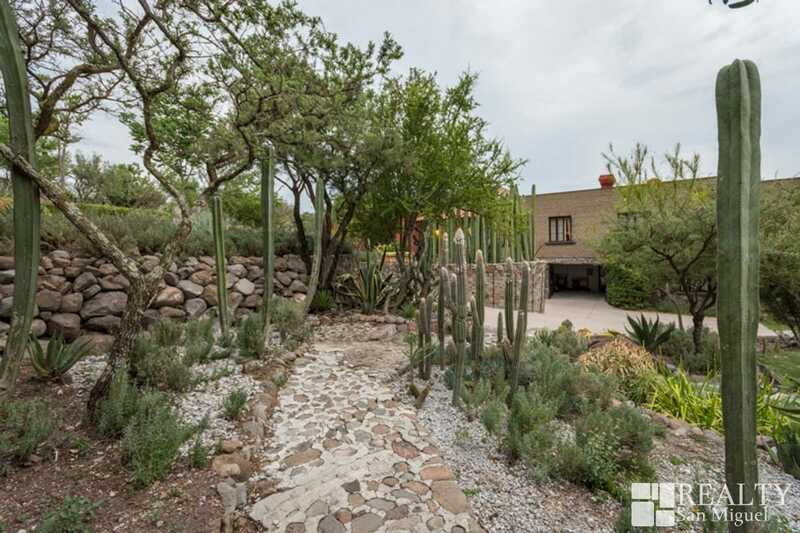 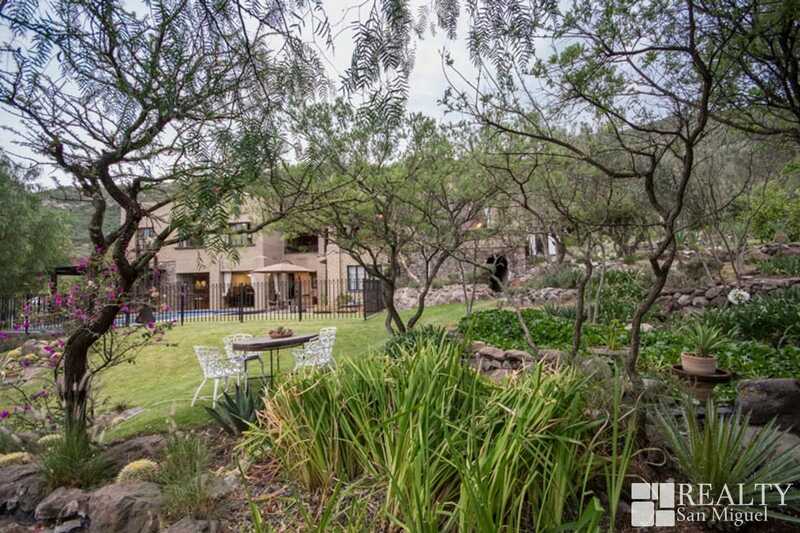 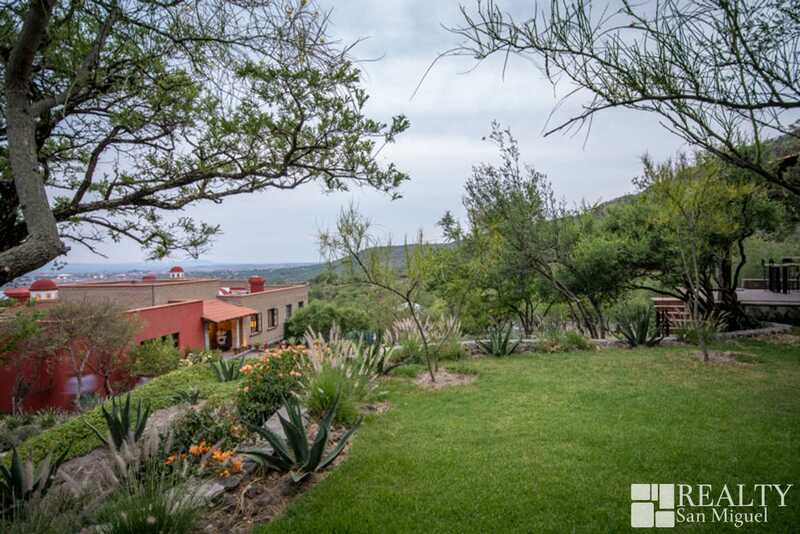 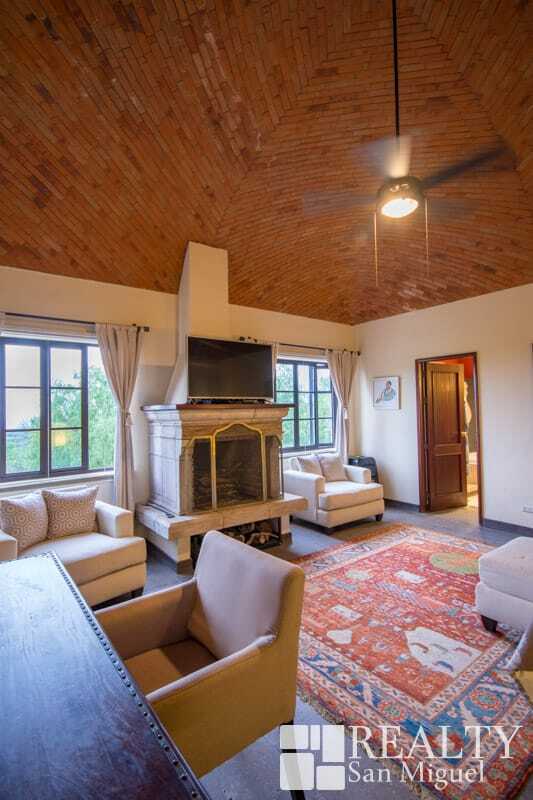 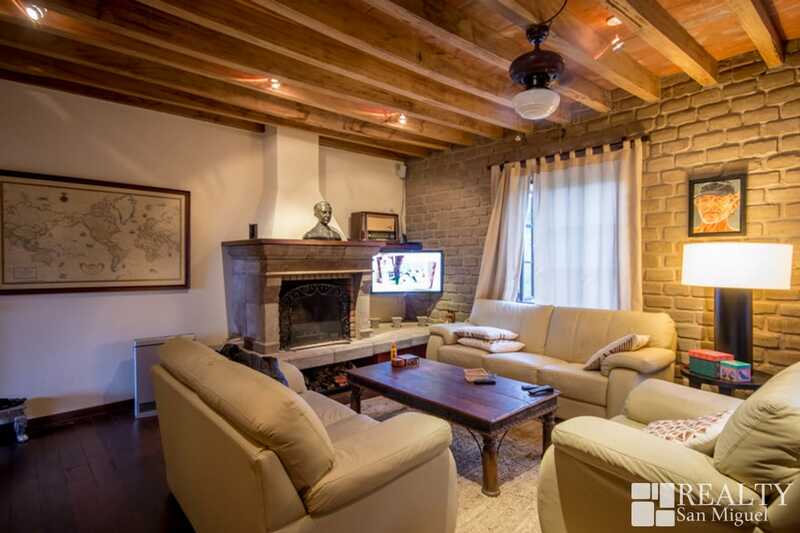 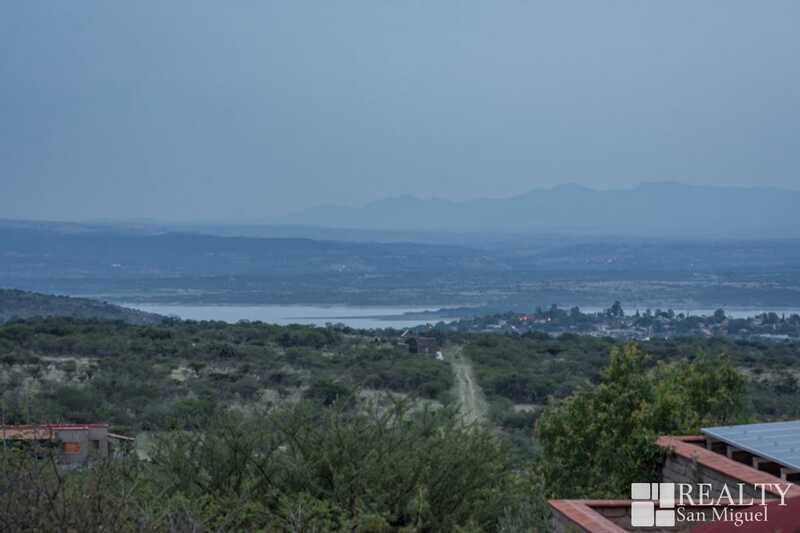 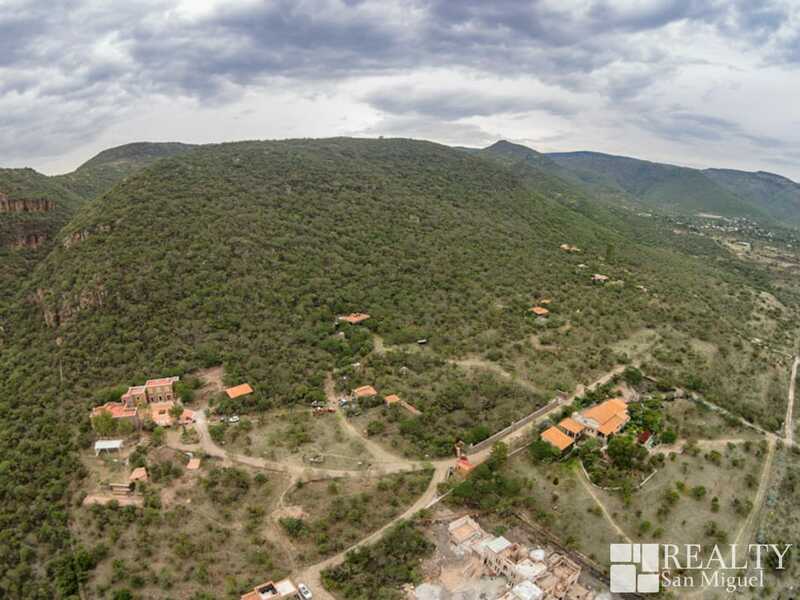 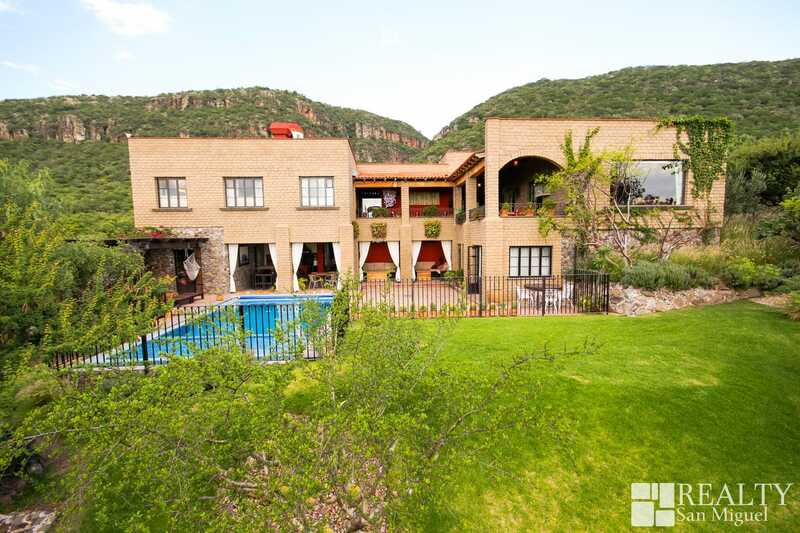 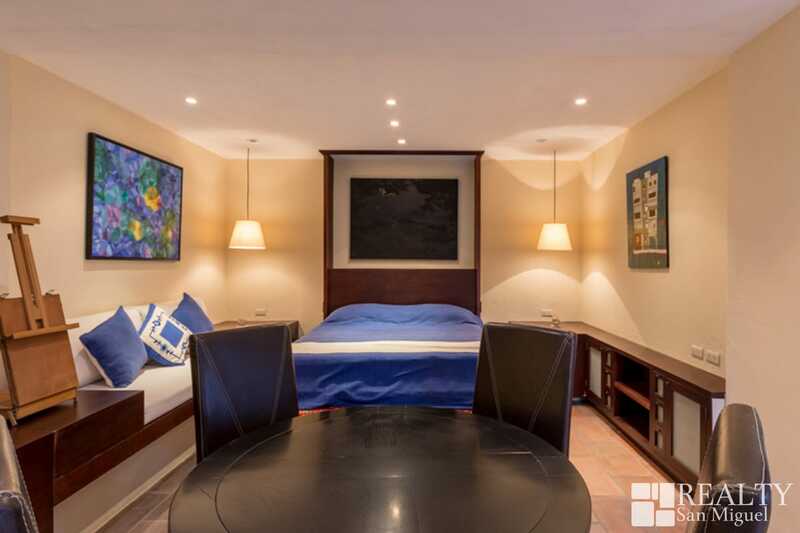 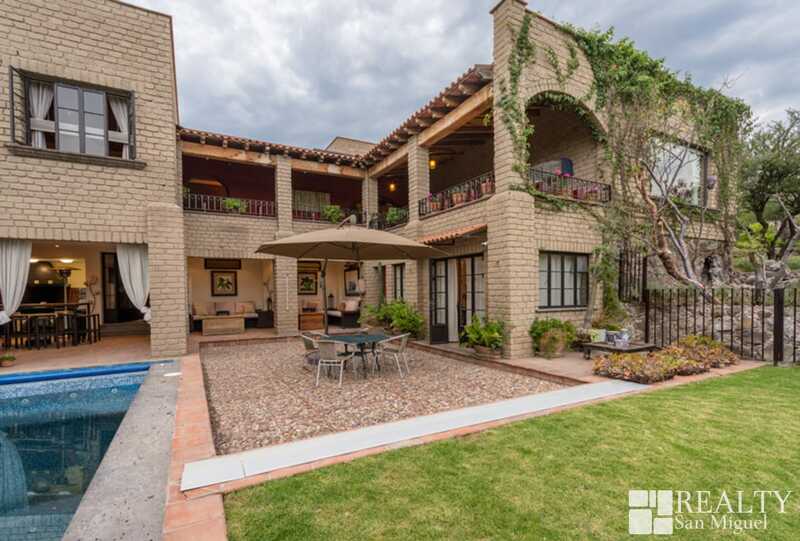 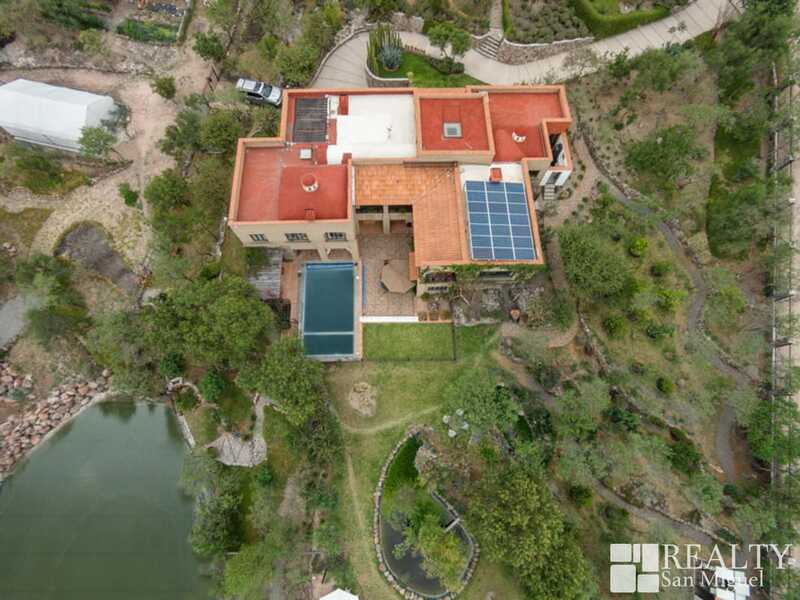 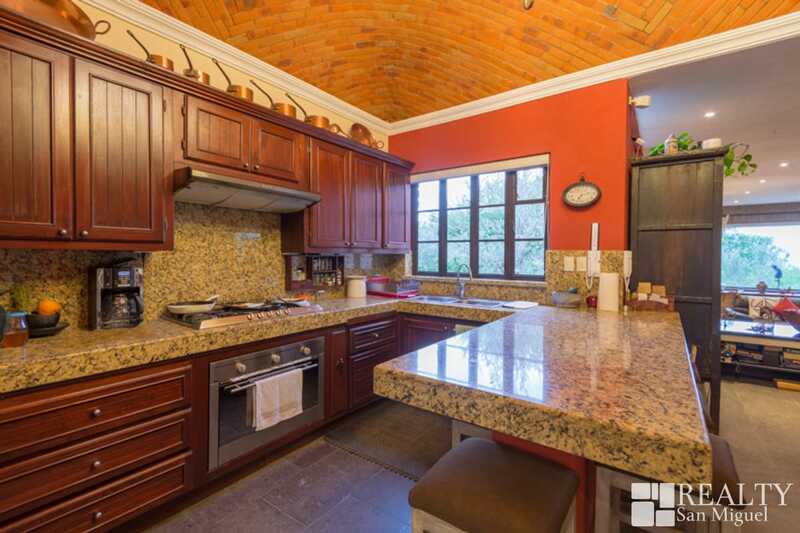 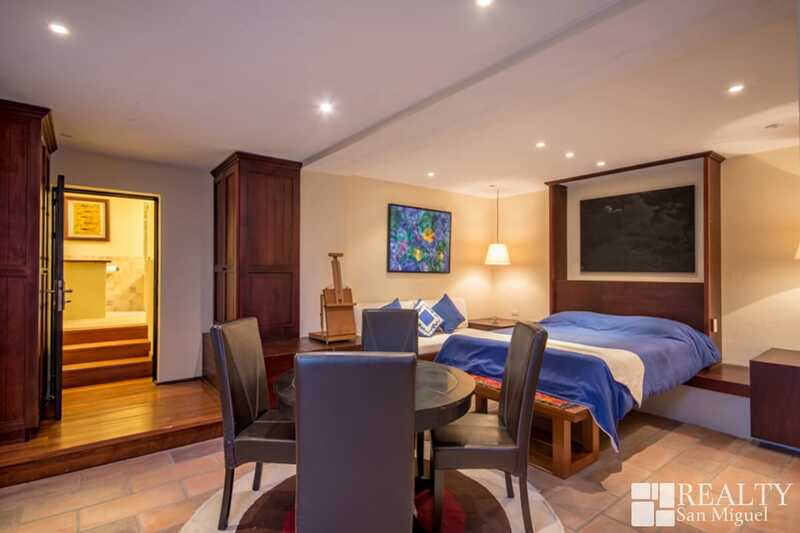 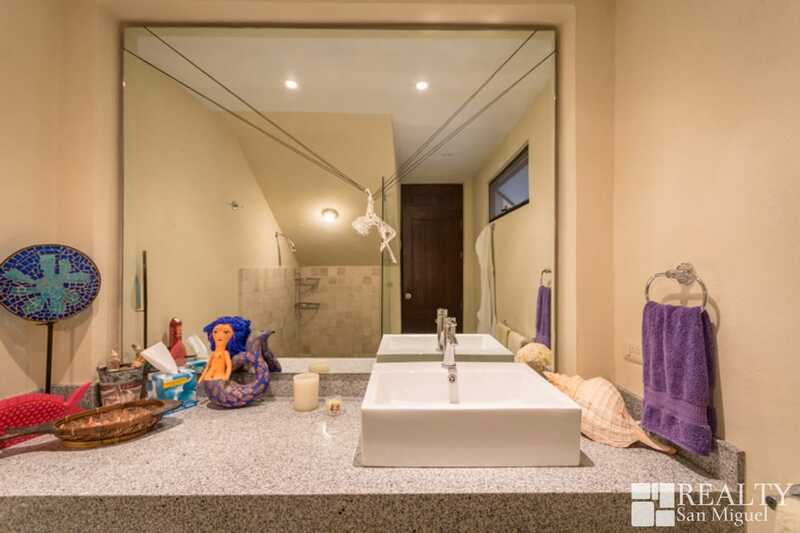 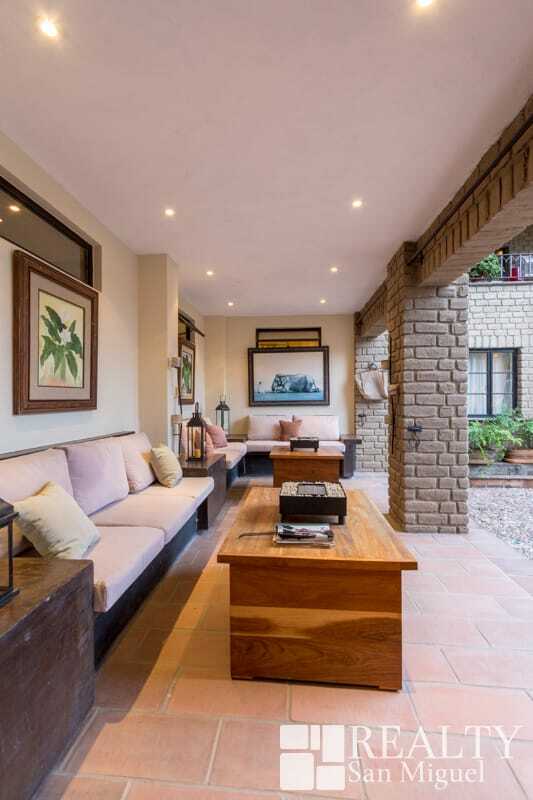 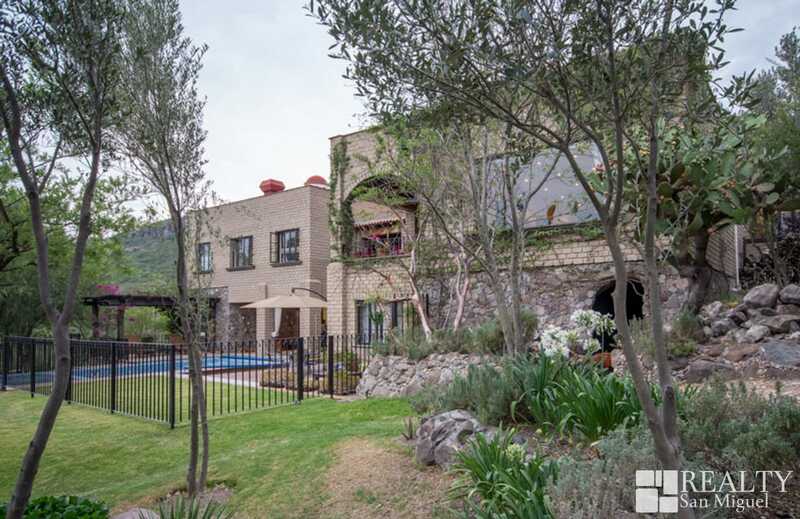 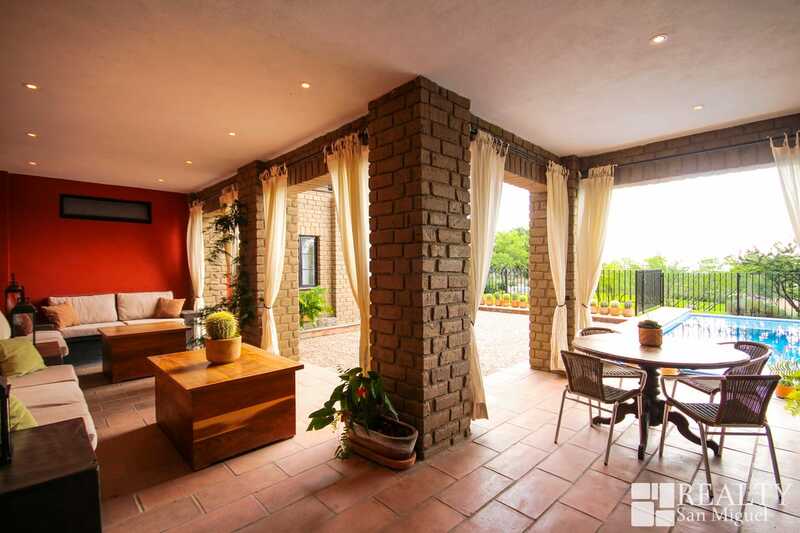 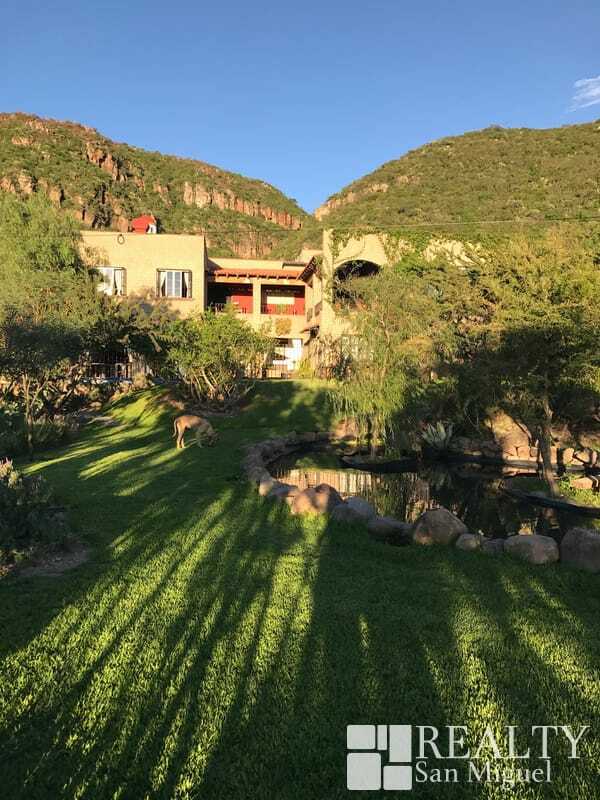 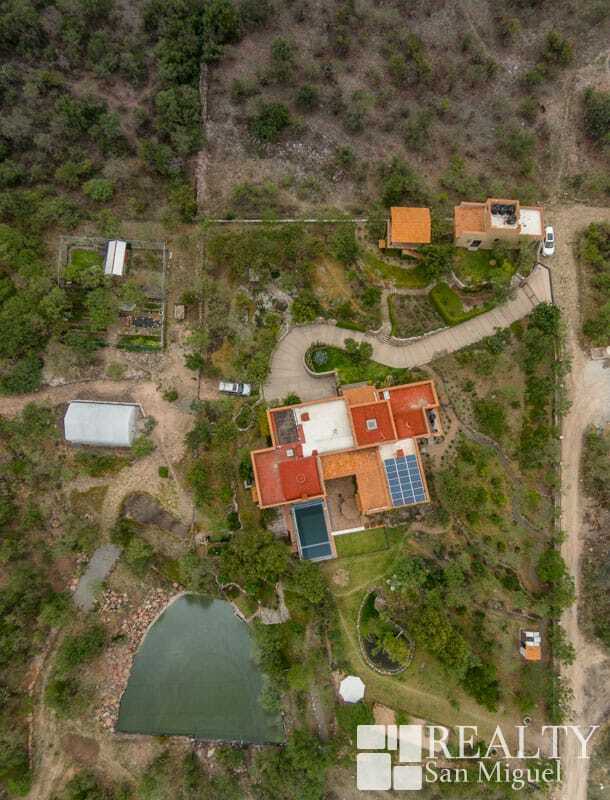 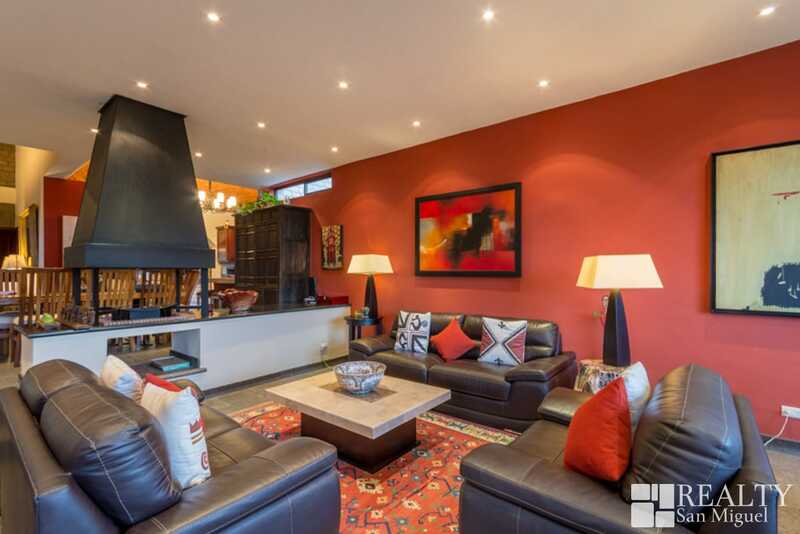 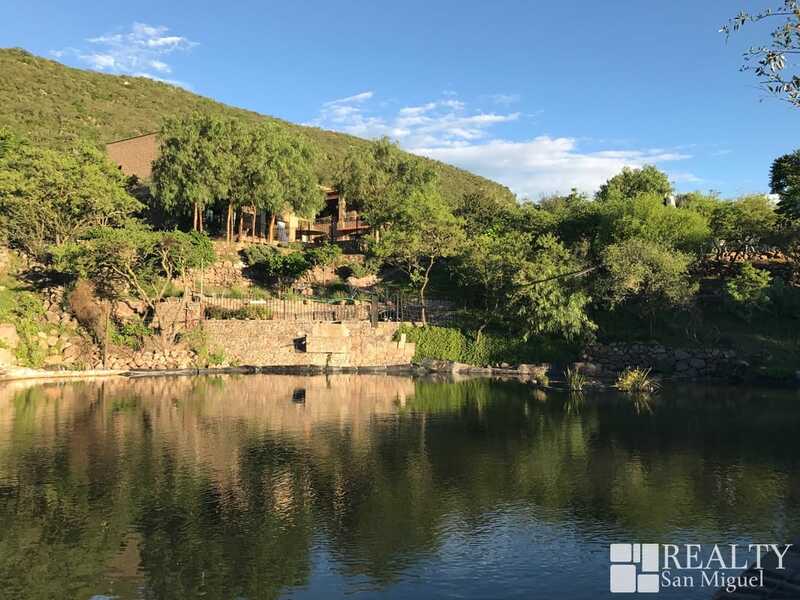 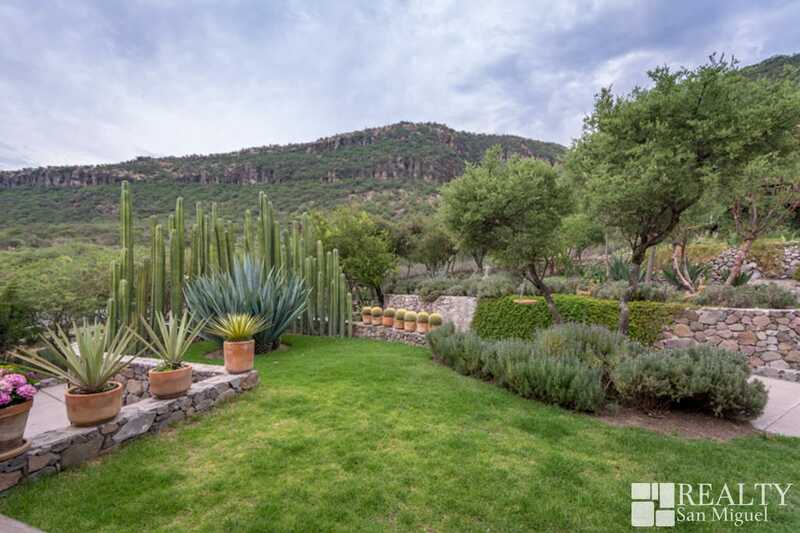 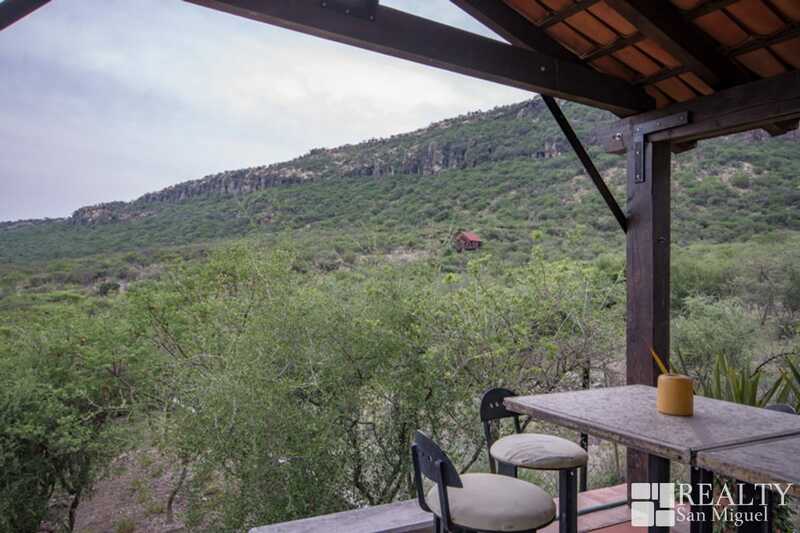 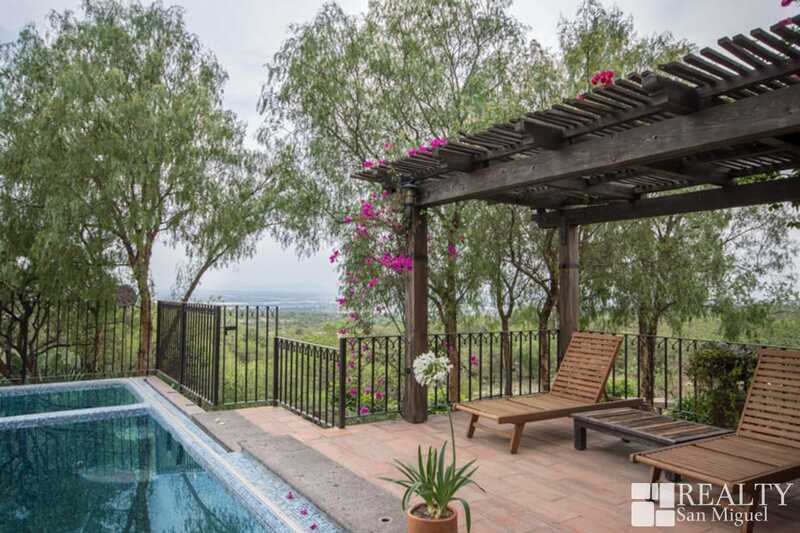 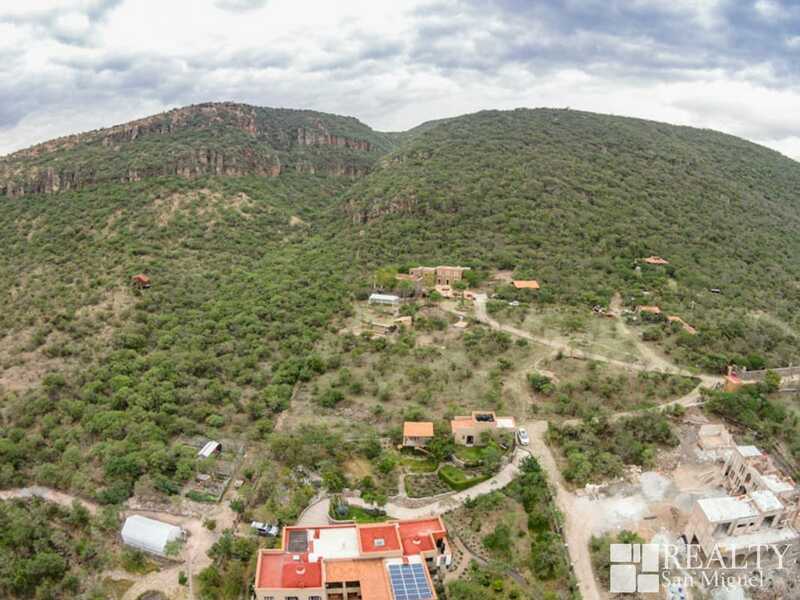 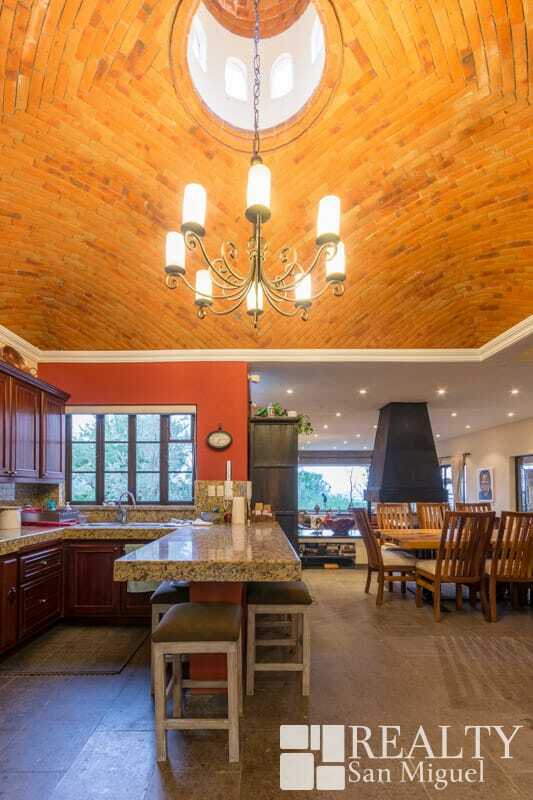 Off-the-beaten path but located just 15 minutes from everything San Miguel de Allende has to offer, this stunning home has everything you could ever need or want. 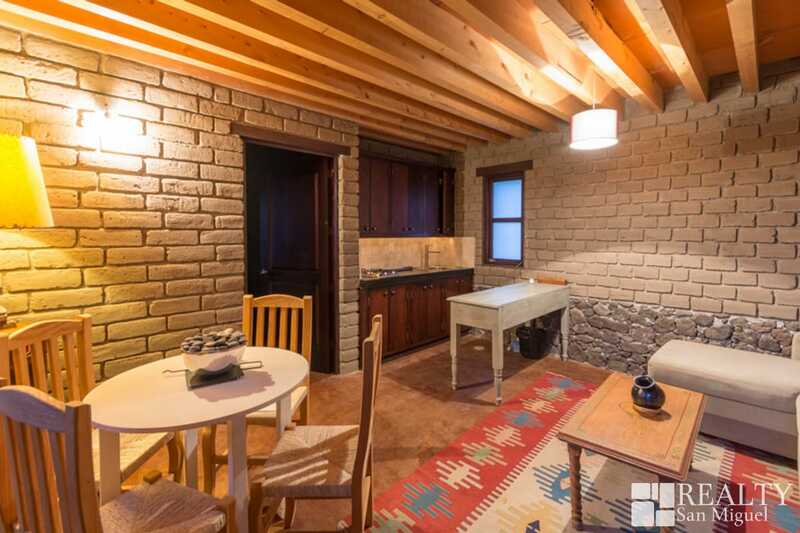 Nestled into the mountain-side, this 5-year-old residence is a shining example of adobe construction. 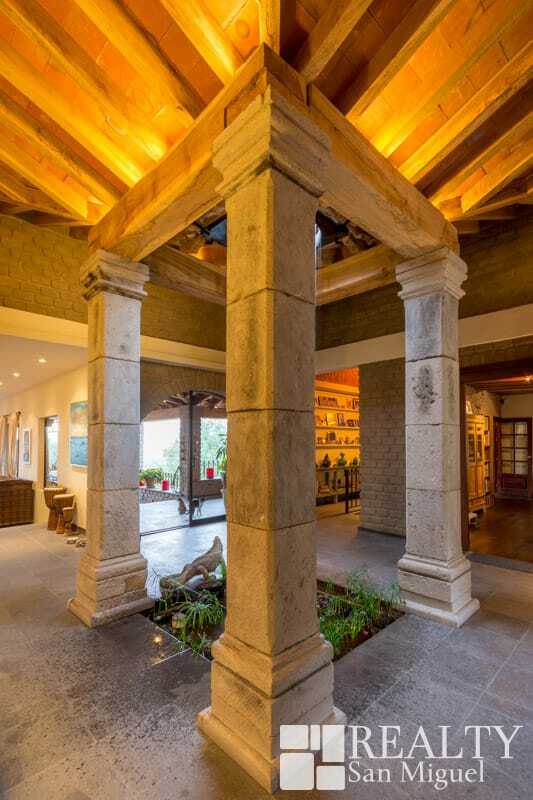 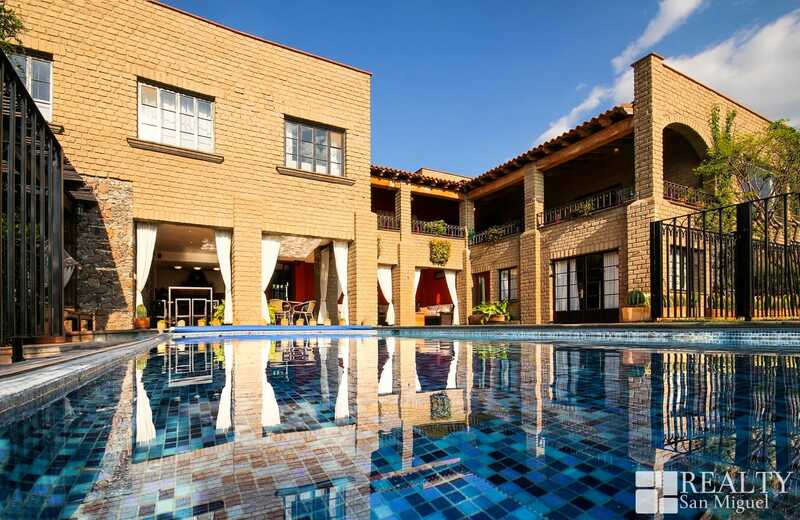 Built on 5,000 square meters (1.23 acres) of landscaped gardens, this two-level paradise offers large open spaces with cathedral and Boveda ceilings. 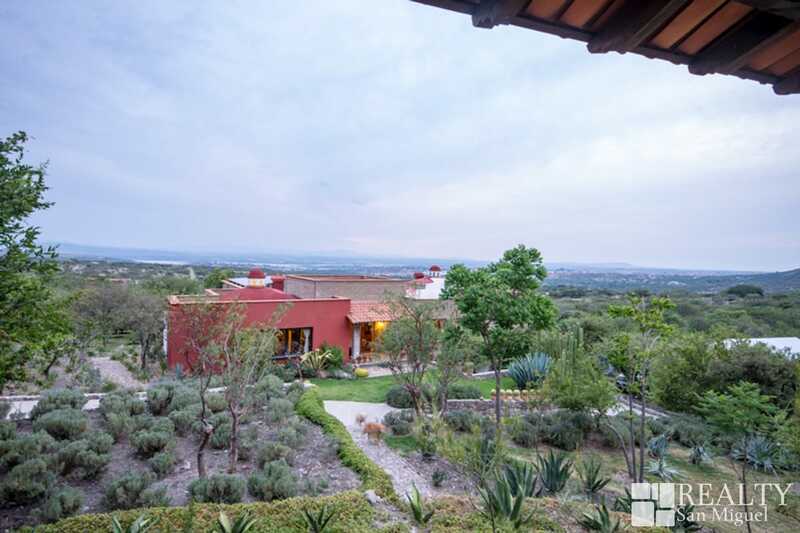 With stunning views on every level, this home was designed with grand entertaining in mind. 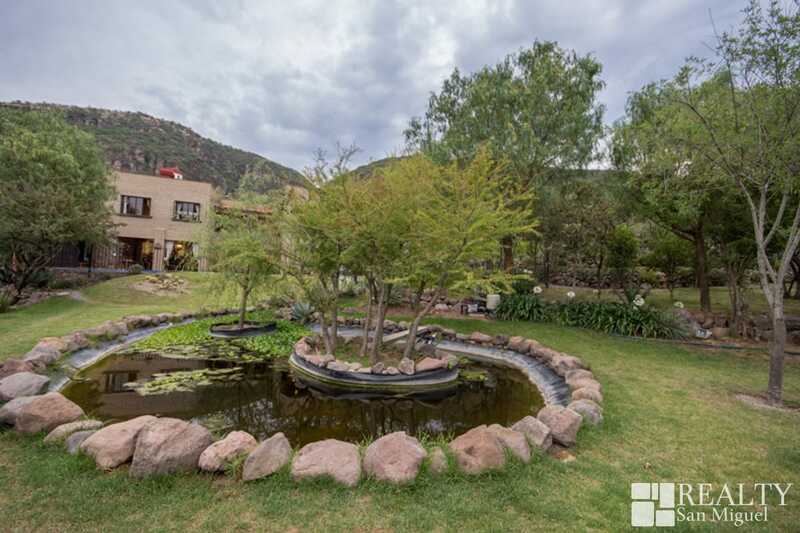 It has multiple gathering areas including the pool deck overlooking the heated infinity pool, lush garden, and koi pond. 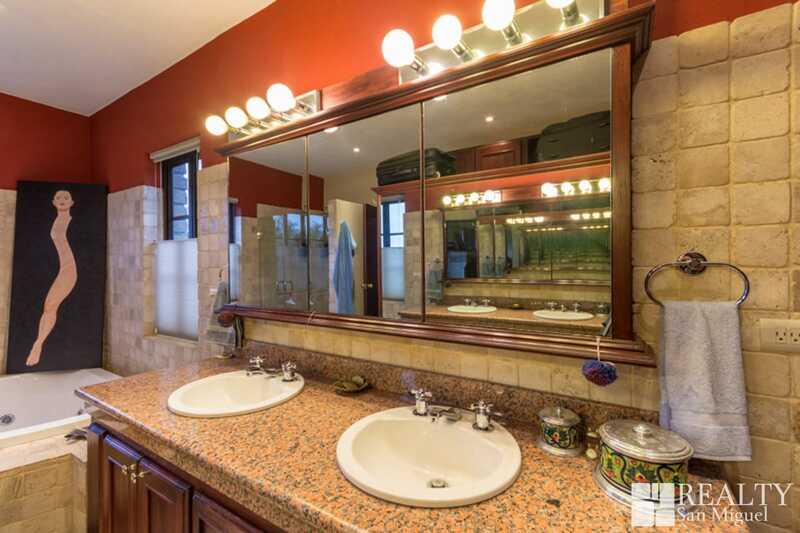 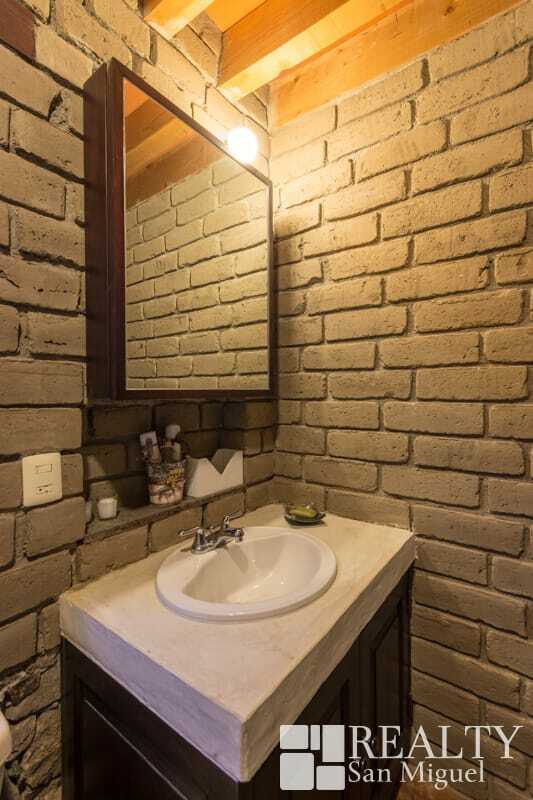 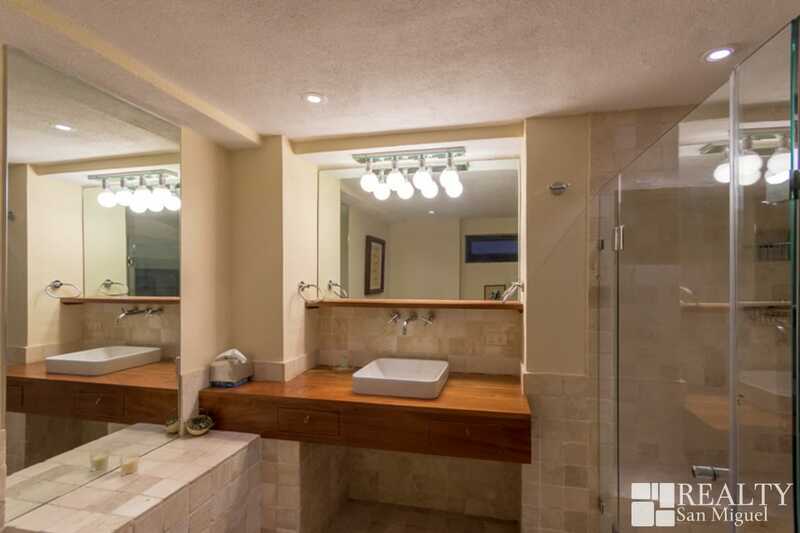 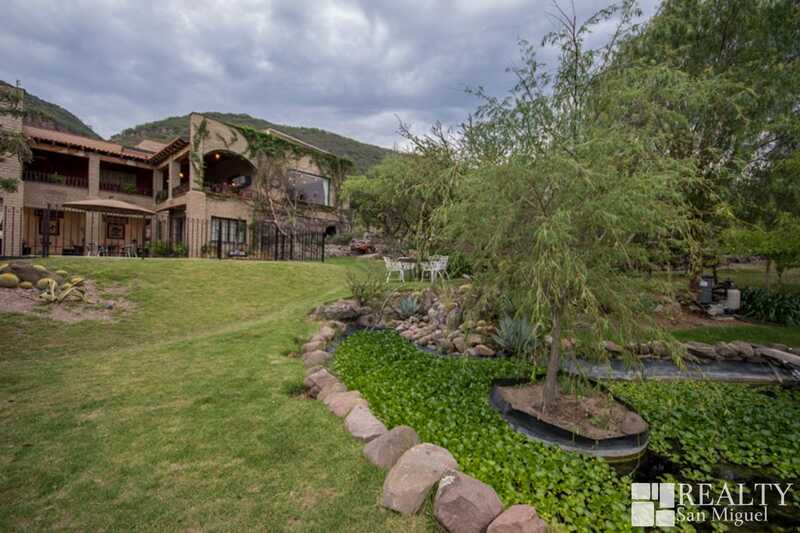 Perfect for the buyer who enjoys privacy and the ambiance of the mountains. 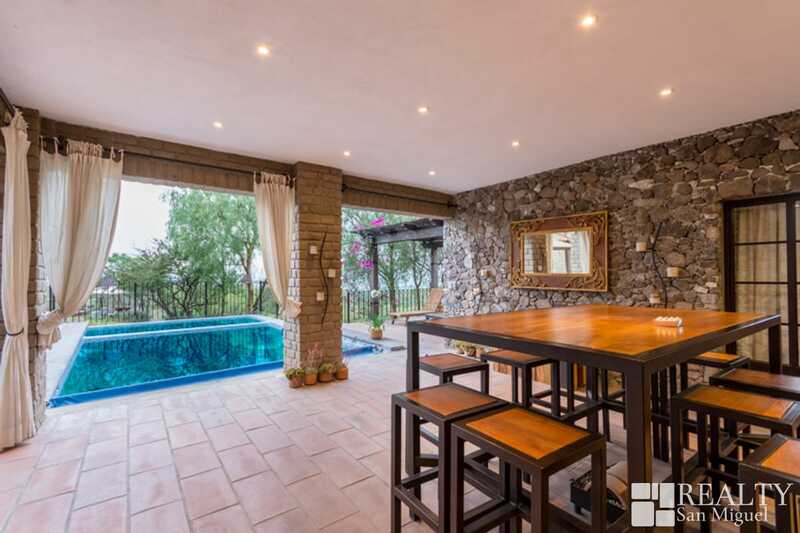 Your biggest challenge will be getting your guests to leave! 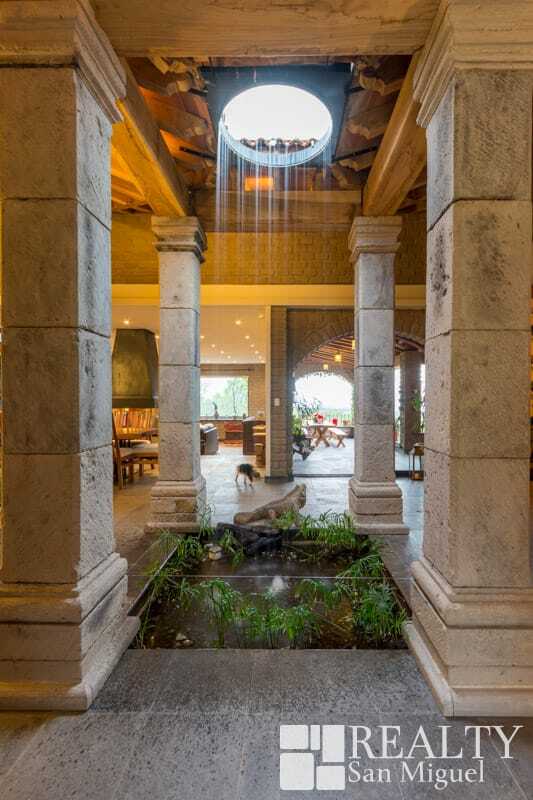 Rain water collection from all rooftops. 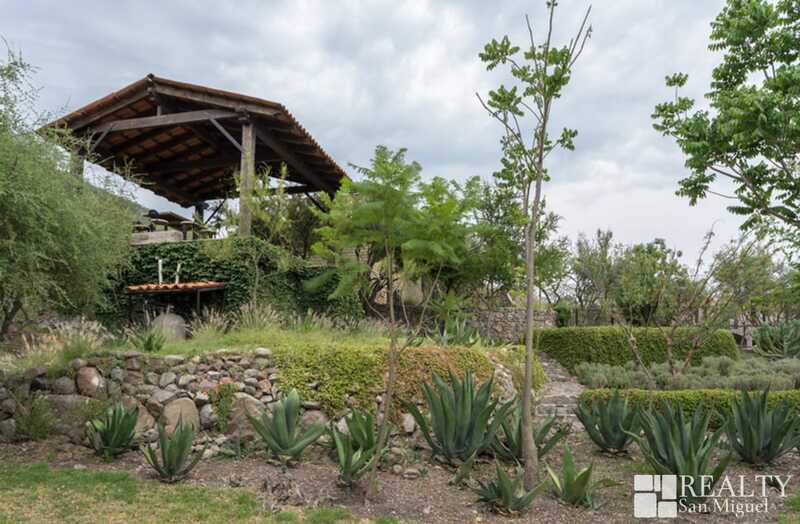 Garden Irrigation System by gravity and pressure. 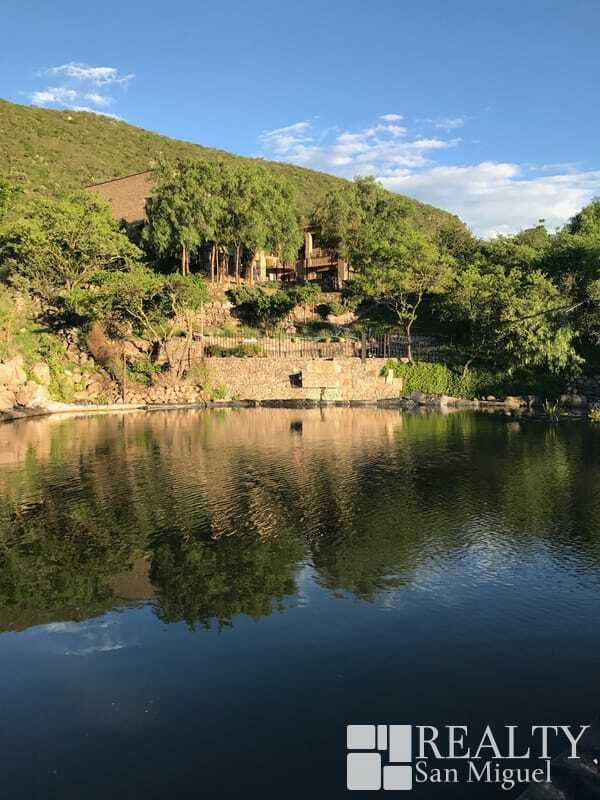 Suction pumps from dam to cisterns and pond. 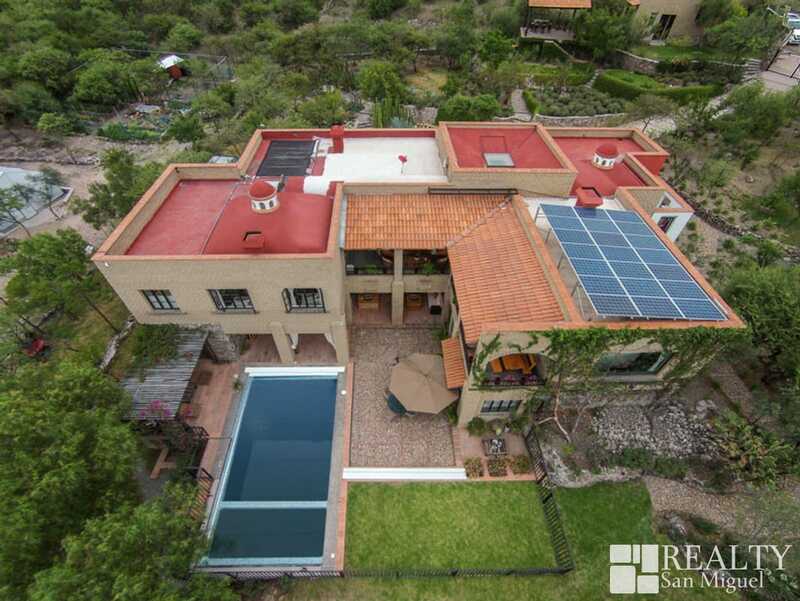 "INFINITY" System, Automatic pool cover (for safety and temperature and chemical balancing) Heat control via gas water heater and solar system. 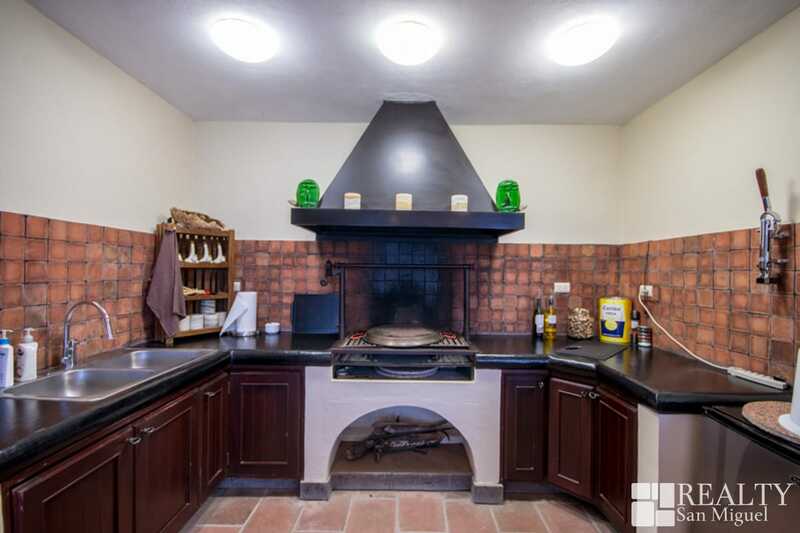 Equipped kitchen and grill in pool area. 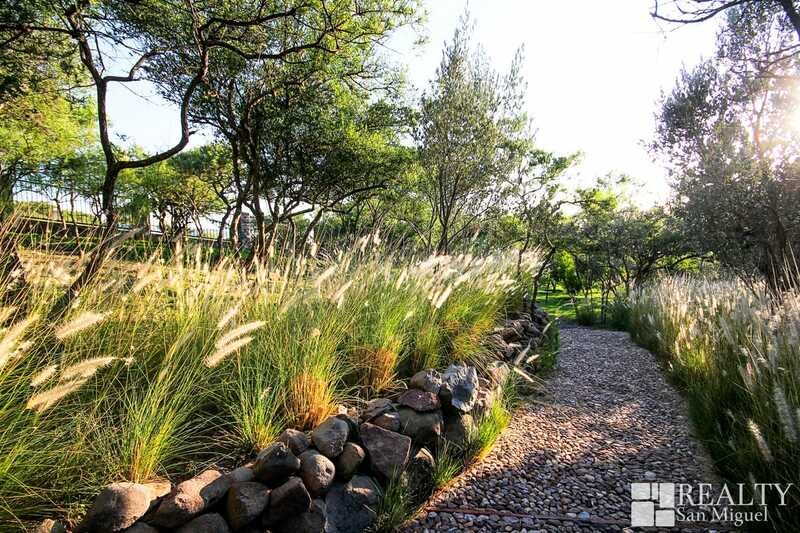 Vegetation and fruit trees: lemon, orange, lime, grapefruit, apple, tangerine, apricot, olive, fig, Jacarandas, pepper trees, etc. 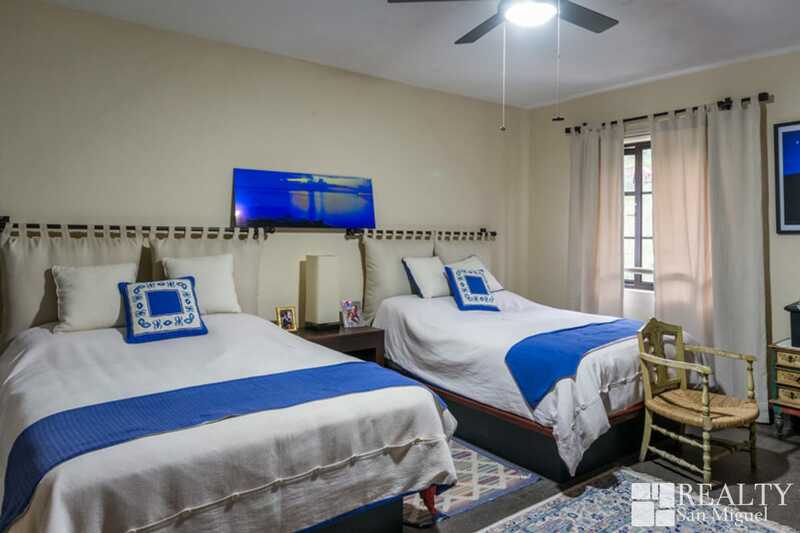 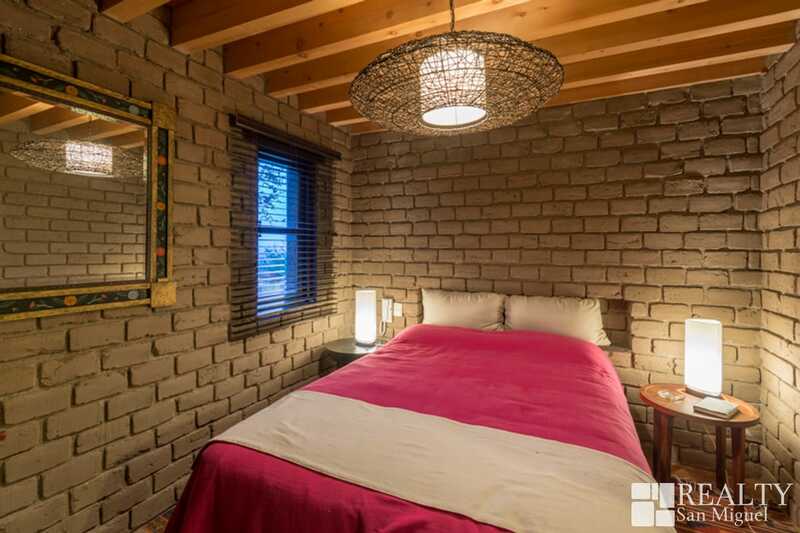 Guest Casita and Watchman´s rooms.